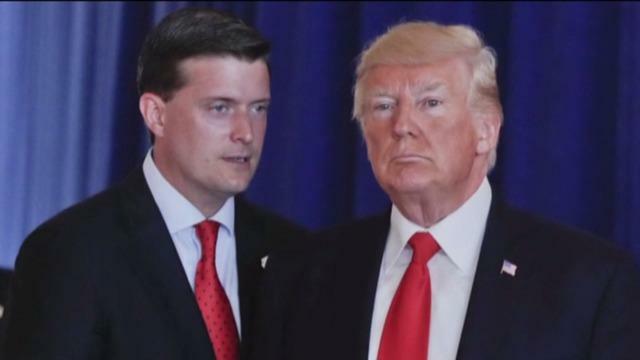 When allegations about White House staff secretary Rob Porter first came to light in February, the White House said it was shocked and surprised by the allegations. However, the White House was provided with "derogatory information" about Porter as early as March 3, 2017, according to the FBI. The bureau provided a more precise timeline of its background investigation into Porter in a recent letter to the chairman of the House Government Reform and Oversight Committee, Rep. Trey Gowdy of South Carolina. The letter also states that in August 2017, the White House's Personnel Security Operations division requested "additional information to include but not limited to, re-interviews of Mr. Porter, his ex-wives, and his girlfriend at the time." On March 3, 2017, the FBI provided a partial report of investigation to the Counsel to the President, Donald F. McGahn, which contained derogatory information. On July 21, 2017, the FBI submitted a completed background investigation addressed to the EOP Personnel Security Division. On August 17, 2017, the FBI received a request from the EOP Personnel Security Operations, requesting additional information to include but not limited to, re-interviews of Mr. Porter, his ex-wives, and his girlfriend at the time." On November 1, 2017, the FBI submitted a completed investigative report addressed to the EOP Personnel Security Division, which contained additional derogatory information. On January 3, 2017, the FBI's investigative file was administratively closed. Following its closing of the background investigation, the FBI received additional information, which was provided in a memorandum addressed to the EOP Personnel Security Operations on Feberary 7, 2018. After the earliest media reports about the abuse allegations in early February 2018, the White House initially defended and praised Porter. His ex-wives told reporters of emotional and physical abuse by Porter, and a subsequent report included a photo of first wife Colbie Holderness with a black eye. She said that Porter had punched her while they were vacationing in Florence, Italy. Porter was forced out of the White House on Feb. 7, a day after the first story about him was posted. The abuse accusations against Porter prompted questions about his security clearance. For the duration of his employment at the White House, Porter was unable to obtain a permanent security clearance and instead relied on a temporary clearance. A couple of weeks after FBI Director Christopher Wray gave an abbreviated version of the timeline of the Porter investigation during testimony to Congress, Kelly acknowledged the White House security office had received a partial report in March 2017. "When that got looked at, I do not know," he told reporters. "But Chris Wray was right, and it was a shock for me, certainly, because I thought the information that came over was in November."